Our Evine Live app integrates the streaming broadcast with online access for viewers seeking a complete shopping experience. MentorMate app design and development played a role in the digital brand redefinition from ShopNBC to ShopHQ to Evine Live. Evine Live rebranded from ShopHQ in early 2015. MentorMate first partnered with the company in 2012 (when it was branded ShopNBC) to strategically evolve its digital presence. The initial project focused on a segment of “power-shoppers” who favored purchasing watches. 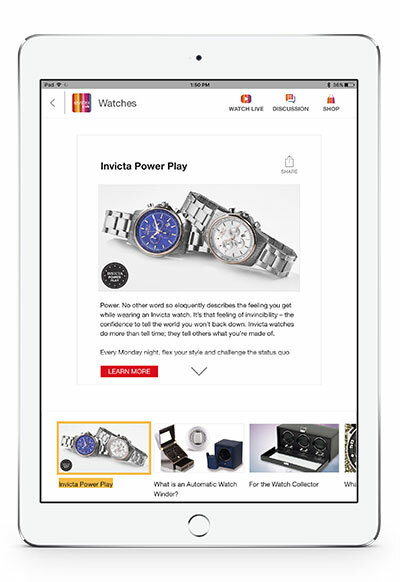 MentorMate created an iOS iPad app that allowed customers to view collections of like watches and share news about their purchases on social media. 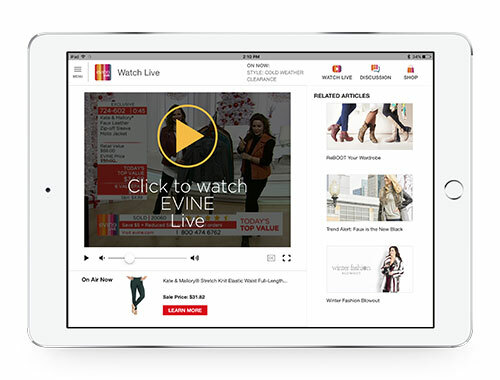 Viewers enjoy Evine Live, but wanted more ways to shop, browse and interact with the live broadcast. When the company rebranded as ShopHQ in 2013, we completed a comprehensive redesign to distinguish the app from the ShopHQ website and increase the return rate of users. The redesign and development work enhanced the shopping experience through a new navigational structure, tiered content, trending previews and a cleaner aesthetic. 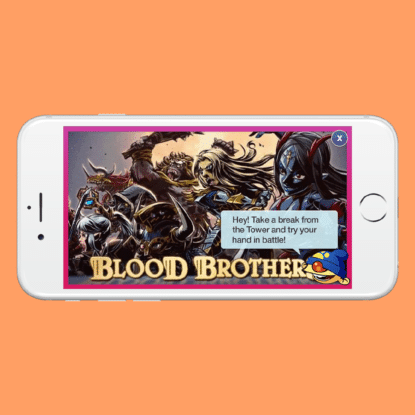 The app featured content that supported the live programming, including top daily values, the last 12 items on air and host bios. 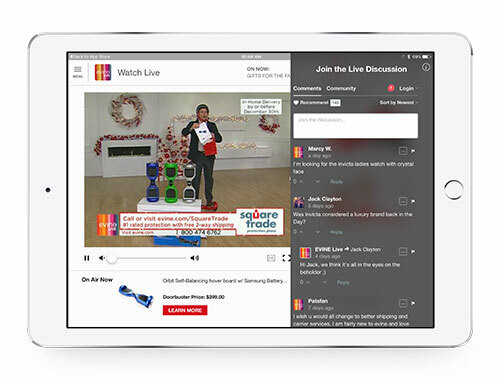 MentorMate built the interactive Evine Live iOS and Android tablet apps creating a shopping interface that unites live TV, online media and mobile shopping opportunities with social media engagement across a variety of outlets including Facebook, Twitter and Pinterest. After ShopHQ transitioned to Evine Live, they wanted to facilitate multi-screen content consumption enabling viewers to watch, shop, chat about and share their purchases without distraction. How could Evine Live introduce a new brand and digital experience allowing content consumption across multiple screens without jarring its existing customer base? We created an interactive shopping portal that combines streaming and online media to create an integrated user experience.